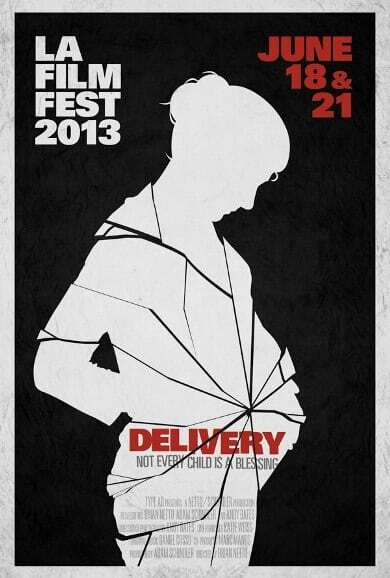 We have brought you the odd poster and image of Brian Netto’s directorial debut, Delivery, over the past year, but now we finally have a teaser trailer to share with you, if you are man enough! 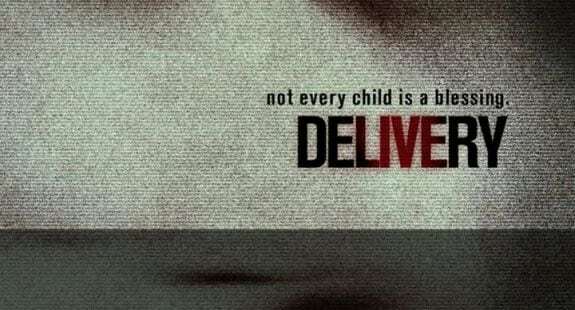 Delivery appears to be a cross between Rosemary’s Baby and Paranormal Activity, as the found footage genre now takes on pregnancy as its theme. However, this is no ordinary pregnancy, and either there is some sort of mental breakdown going on here, or something much more sinister at work. The first teaser trailer has been released ahead of the films world premiere at the Los Angeles Film Festival on June 16th, and will then play again on June 21st. Netto also wrote the film with Adam Schindler, and the found footage horror stars Laurel Vail and Danny Barclay. Expect much more on this as it develops, but for now you can ‘like’ the Facebook page. You can also visit the official Delivery website. and follow along on their brand new Delivery Twitter account. In this unnerving chiller, Kyle and Rachel Massy are a young couple who have agreed to document their first pregnancy for a reality show. During the production and after moving to a new home, a series of unexplained phenomena start plaguing the couple, eventually derailing the production of the show. Rachel, growing increasingly paranoid, starts to believe that there might be something seriously wrong with their unborn bundle of joy. Told through the show’s un-aired footage and interviews from friends, family and production members, Brian Netto’s savvy debut feature injects the found footage genre with a fresh perspective and enough eeriness to keep you on the edge of your seat. Delivery is told through the show’s abandoned and unaired reality footage as well as testimonials from friends, family, and crew members, providing a first-hand account of the Massys’ tragic story.